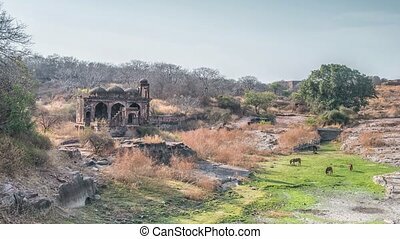 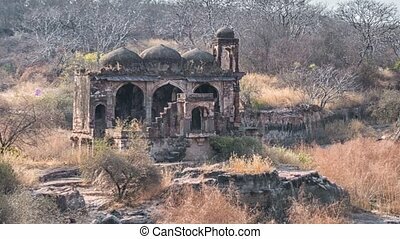 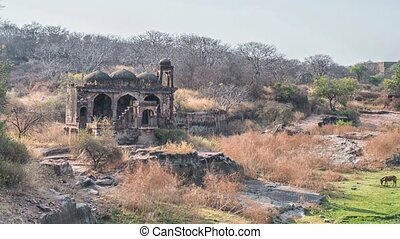 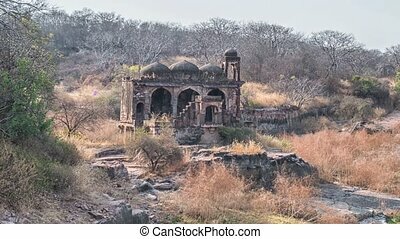 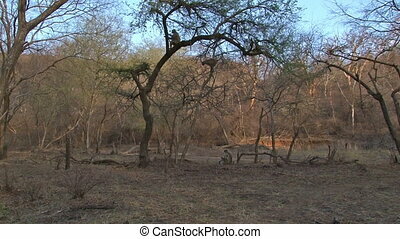 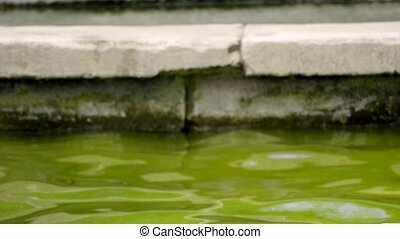 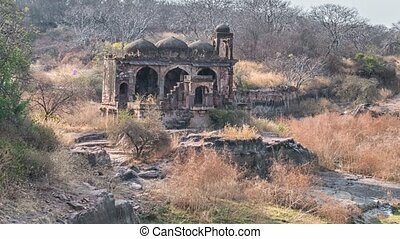 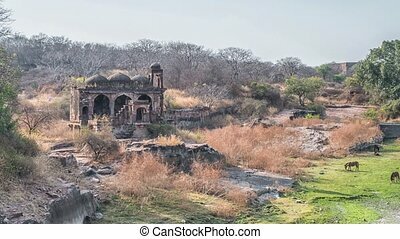 Temple ruins, ranthambore fort, ranthambore national park, rajasthan, india. 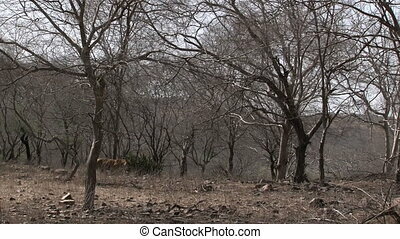 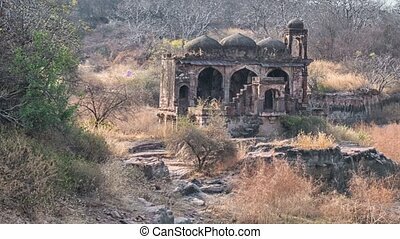 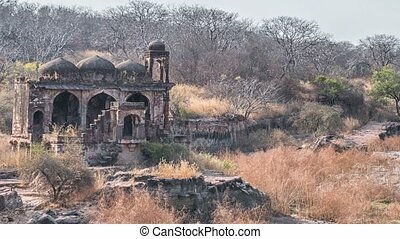 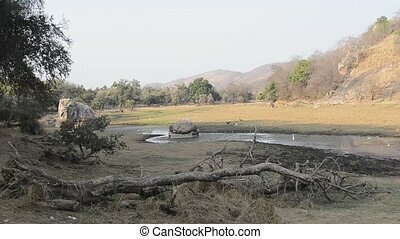 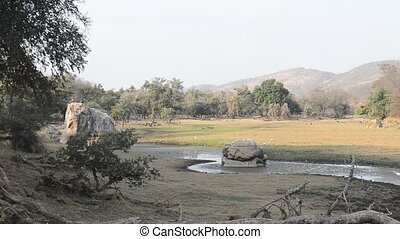 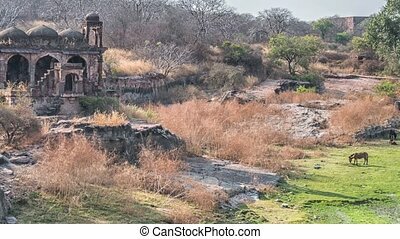 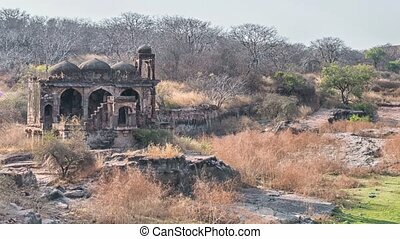 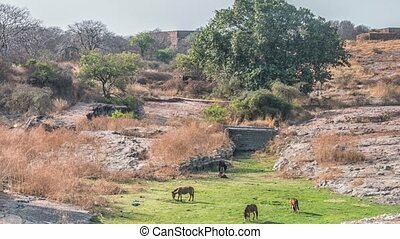 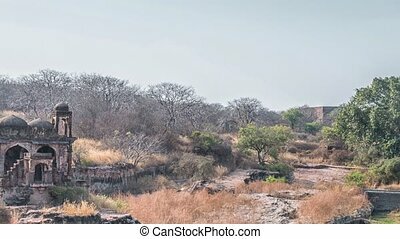 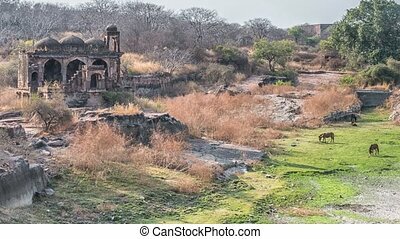 Temple ruins, scenery at the ranthambore national park in rajasthan, india. 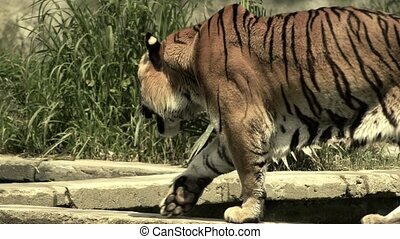 Walking big cat. 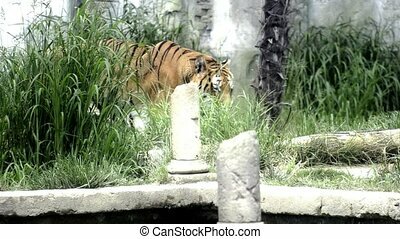 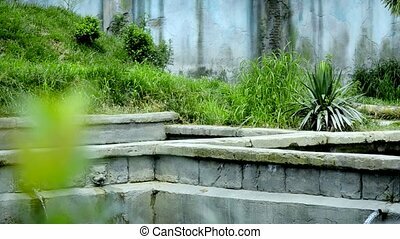 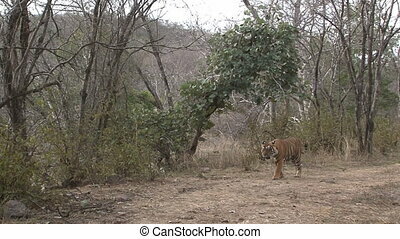 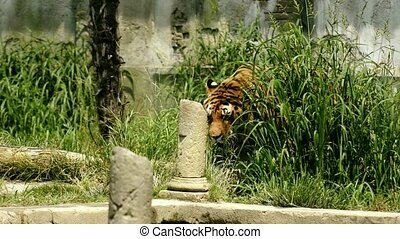 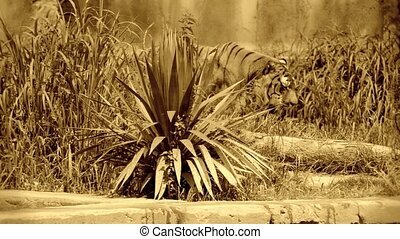 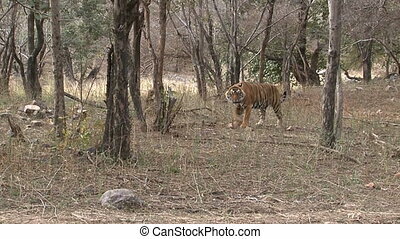 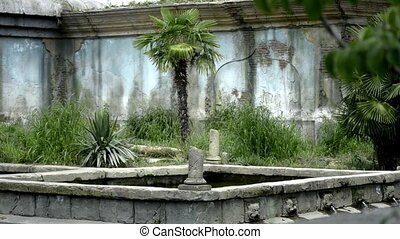 A tiger in the Maharajah's garden.